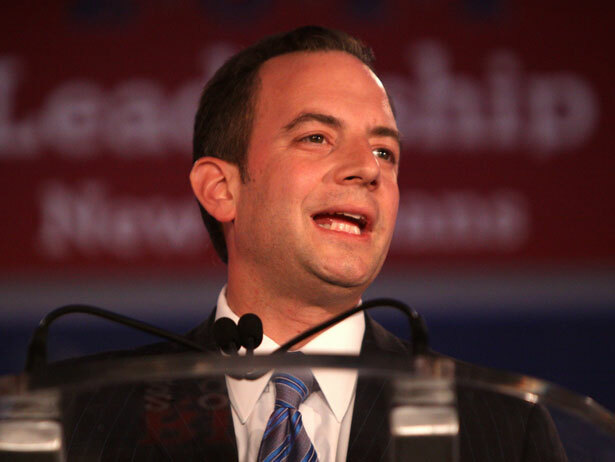 By changing the distribution of electoral votes to rely on results of gerrymandered congressional districts, Priebus plan would game the system for GOP. “If Republicans in 2011 had abused their monopoly control of state government in several key swing states and passed new laws for allocating electoral votes, the exact same votes cast in the exact same way in the 2012 election would have converted Barack Obama’s advantage of nearly five million popular votes and 126 electoral votes into a resounding Electoral College defeat,” explains FairVote’s Rob Richie. This is something Priebus, a bare-knuckles pol who promoted a variety of voter-disenfranchisement schemes in 2012, well understands. Already, there are moves afoot in a number of battleground states to “fix” the rules to favor the Republicans in 2016, just as they have already fixed the district lines for electing members of the House. Thanks to gerrymandering and the concentration of Democratic votes, Republicans were able to lose the overall nationwide vote for US House seats by 1.4 million votes and still take control of the chamber—thus giving the United States the divided government that voters have rejected. There are many reforms that are needed to expand democracy in the United States. But gaming the Electoral College is not one of them. That’s the right standard for a modern nation that respects democracy. And Reince Priebus, who was wrong about the Republicans running a “great” campaign in 2012, is even more wrong when he proposes rule changes that would allow a losing Republican candidate to “win” the presidency. For a glimpse of more hopeful post-election GOP policy, read our latest dispatch from Voting Rights Watch.